Halloween is a few weeks away and kids across the country will be dressing in all sorts of creative costumes and gear. Along with that comes plastic bags, pillow cases or totes to hold their haul of candy in. Consider a step away from tradition this year and Trick-or-Treat with a stylish new backpack from Animal Packers. Inspired by the request of her granddaughter, Debra, an adventure-loving Mom and Nana, and the designer behind the Animal Packers Brand. Debra is an engineer by education and uses that background to both design and manage the manufacture of our bags. 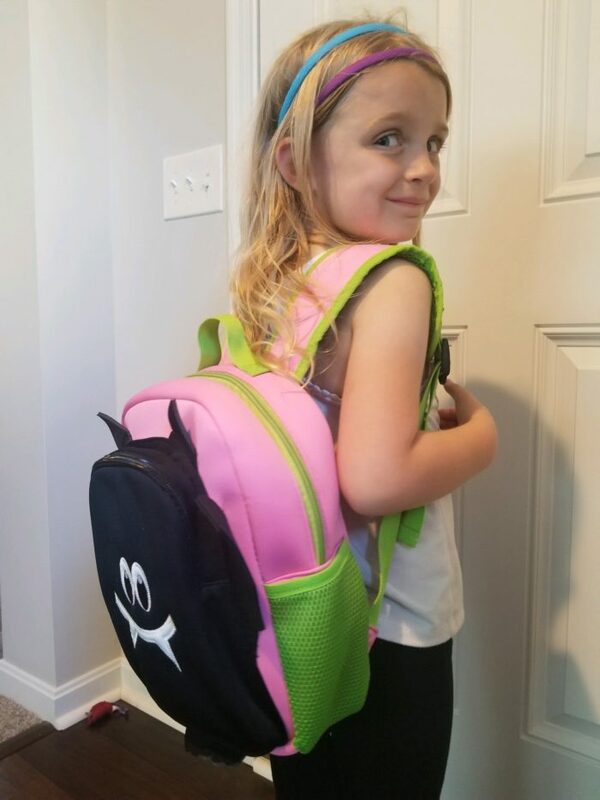 At the ripe ol’ age of 5, Ava considers herself an already seasoned backpack aficionado and knows what she wants in a good backpack. She was delighted to receive her Austin Bat from Animal Packers. This new line of backpacks is filled with fun new animals that will make any toddler the talk of the town on Halloween. New designs include Austin Bat, Sammy Bull and Buckie Horse. Each animal is available in diverse color assortments including yellow, purple, pink and blue. 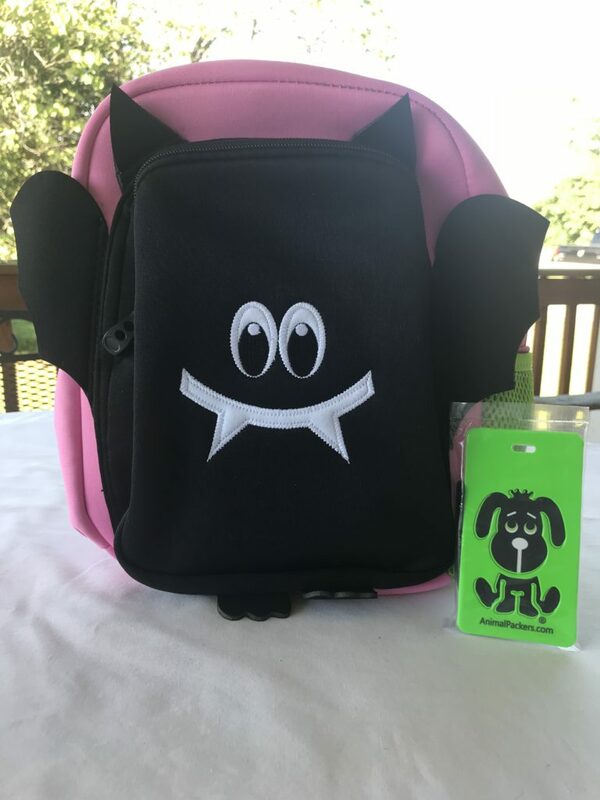 Each backpack is washable (with a care bag inside to delicately wash), has adjustable straps to fight kids from preschool age to toddlers and includes a colorful name tag. When I’m not ‘hanging out’ (get it?) under the Congress Street Bridge, I love ‘hanging out’ on the back of my Little! I come from Austin, and I’m part of the world’s largest Urban Bat Colony. Every night, my friends and I swarm out of our custom-built habitat and fly across the city looking for mosquitos to eat. (Each of us can eat up to 2/3 our own body weight in bugs….every night!) I, of course, will only go hunting with my friends until I get adopted by your Little! 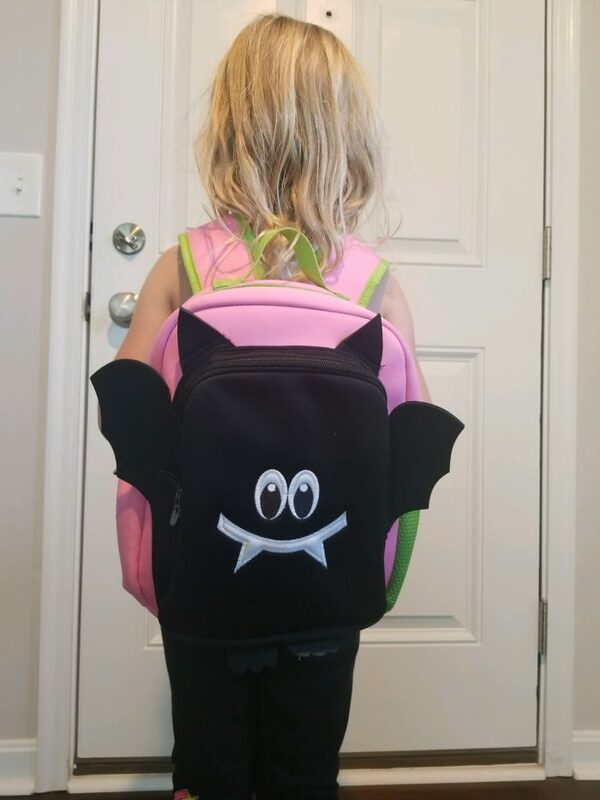 Austin Bat is perfect for your little one to show some independence on Halloween and enjoy Trick-or-Treating hands-free. He is perfect really for any occasion, not just for Halloween. It is great for travel, school and more.